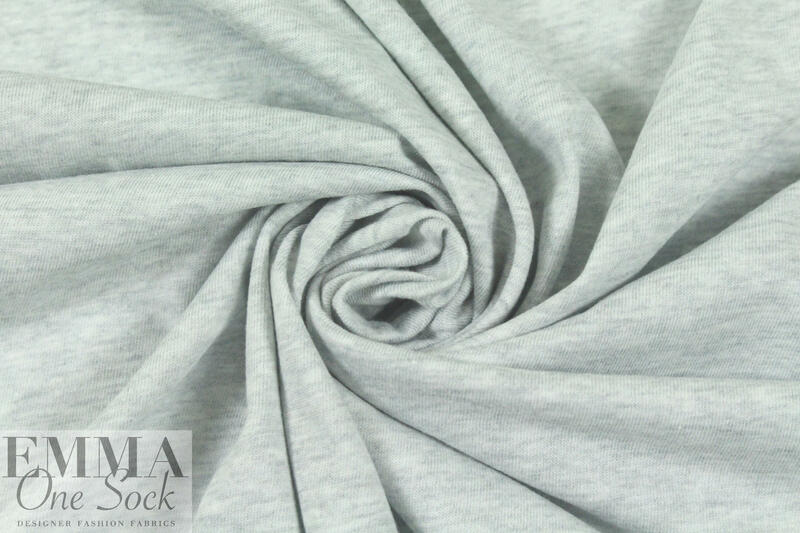 This 100% organic cotton jersey is a lovely, very lightweight knit with a soft and sweatery texture. 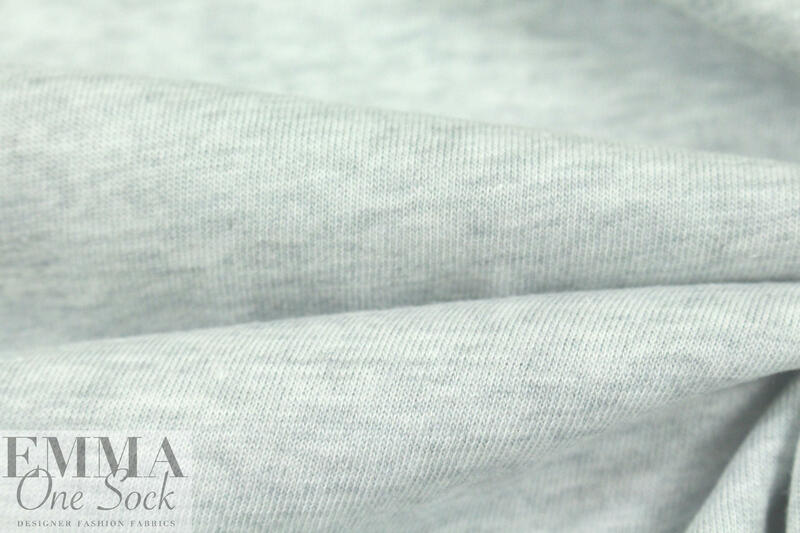 It has a heathered appearance and is soft and drapey yet nearly opaque with a matte finish. 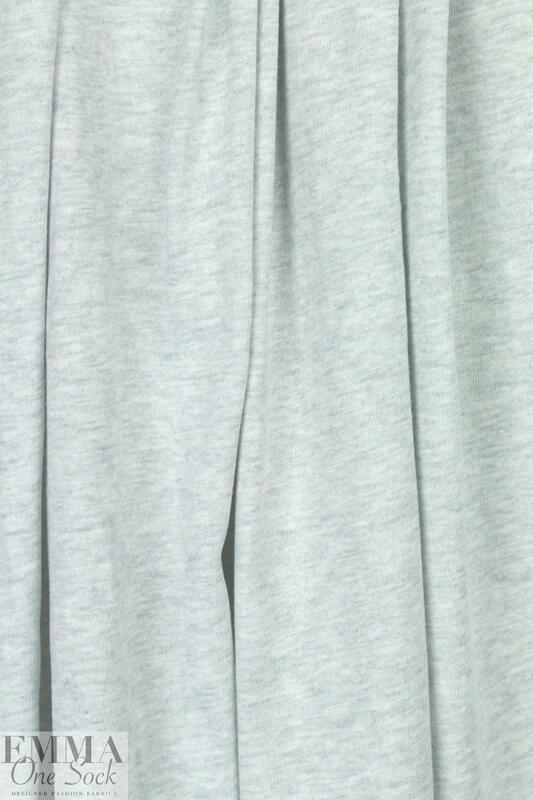 It has 75% stretch in the width only. 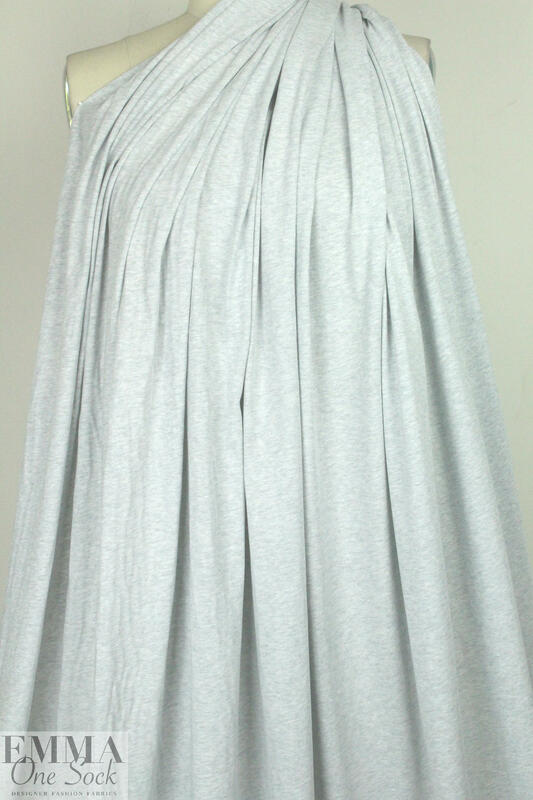 Perfect for tees, tops and tunics, loungewear, baby and kids clothing, etc., and the color is a beautiful heathered light gray called "cloud" (PANTONE 14-4203 mixed with white). 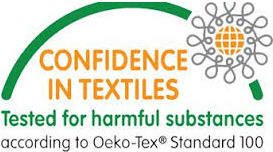 Eco-friendly and sustainable, Oeko-Tex and GOTS certified. Cut in a single layer layout. Hand or machine wash, cold water, and hang or lay flat to dry. No bleach.